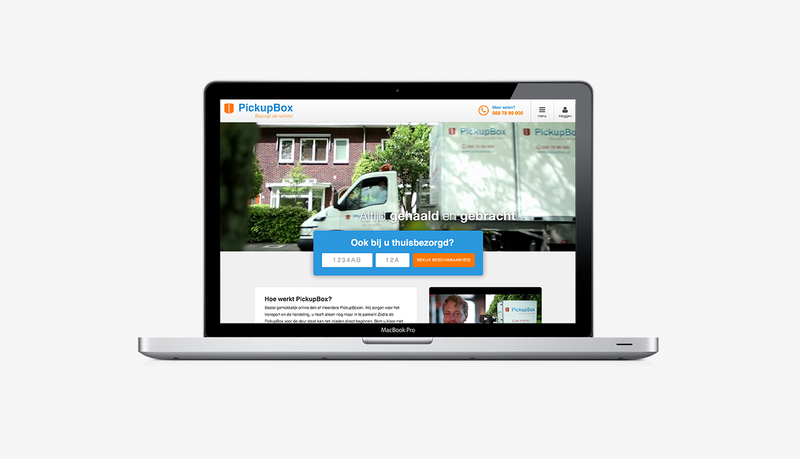 I did a total redesign of the PickupBox website, logo and other style elements. 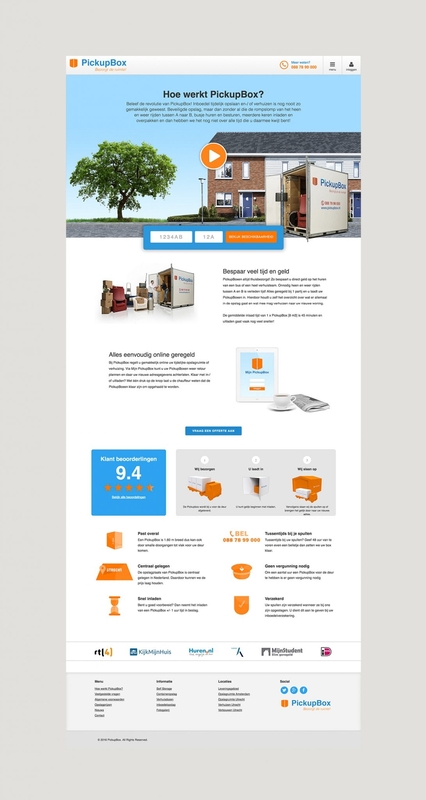 Then I translated the designs to a fully functional WordPress Theme. Most of the traffic to the website is through organic search results. 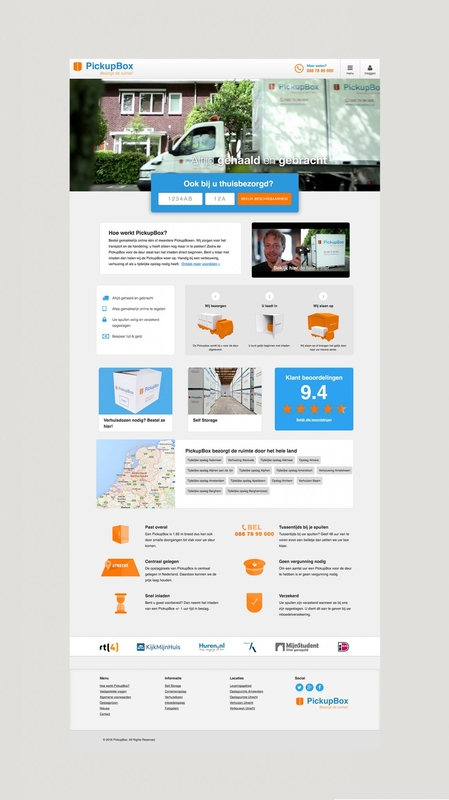 Therefor migrating the old content to new website and making proper redirects was a big part of the project. Special care went out to the conversion path, which is the most important part of the website. Visitors enter the checkout page through a CTA. They are stimulated to check the availability by entering their postal code and house number. Then they will redirect to a totally customised order page. The amount of mobile storage units needed is calculated based on their address. Specific data of the address and a picture of the house will be displayed. Eventually the price is calculated based on the chosen options.